I’ve been thinking about my draft article, Form, Event, and Text in an Age of Computation. It presents me with the same old rhetorical problem: how to present computation to literary critics? In particular, I want to convince them that literary form is best thought of as being computational in kind. My problem is this: If you’ve already got ‘it’, whatever it is, then my examples make sense. If you don’t, then it’s not clear to me that they do make sense. In particular, cognitive networks are a stretch. Literary criticism just doesn’t give you any useful intuitions of form as being independent of meaning. Any how, I’ve been thinking about words and about conversation. 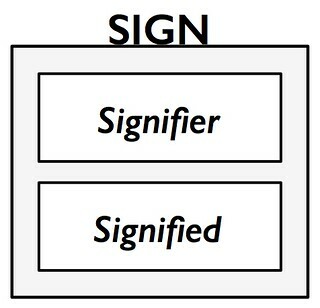 What I’m thinking is that the connection between signifier and signified is fundamentally computed in the sense that I’m after. It’s not ‘hard-wired’ at all. Rather it’s established dynamically. That’s what the first part of this post is about. The second part then goes on to argue that conversation is fundamentally computational. This is crude and sketchy. We’ll see. It’s a simple word, an everyday word. Out there in the middle of nowhere, without context, it’s hard to say what it means. I could mean this, it could mean that. It depends. When I look it up in the dictionary on my computer, New Oxford American Dictionary, it lists three general senses. One, “a ginger root,” is listed as “dated.” The other two senses are the ones I know, and each has a number of possibilities. One set of meanings has to do with things moving and has many alternatives. The other deals with kinds of beings, biological or human. These meanings no doubt developed over time. And, of course, the word’s appearance can vary widely depending on typeface or how it’s handwritten, either in cursive script or printed. The spoken word varies widely as well, depending on the speaker–male, female, adult, child, etc.–and discourse context. It’s not a fixed object at all. There we have it, the signifier and the signified packaged together in a little ‘suitcase’ with “sign” as the convenient handle for the package. It gives the impression the sentences are little ‘trains’ of meaning, with one box connected to the next in a chain of signifiers. No one who thinks seriously about it actually thinks that way. But that’s where thinking starts. For that matter, by the time one gets around to distinguishing between signifier and signified one has begun to move away from the static conception. My guess is that the static conception arises from the fact of writing and the existence of dictionaries. There they are, one after another. No matter when you look up a word, it’s there in the same place, having the same definition. It’s a thing, an eternal Parmenidean thing. He begins glossing it as follows (112): “The linguistic fact can therefore be pictured in its totality–i.e. 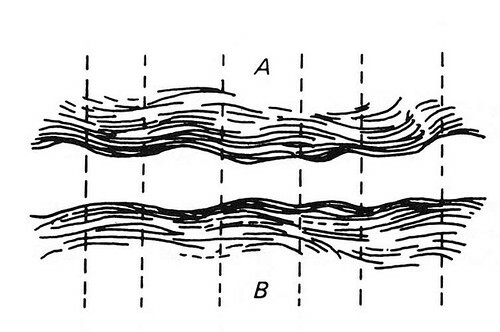 language–as a series of contiguous subdivisions marked off on both the indefinite plane of jumbled ideas (A) and the equally vague plane of sounds (B).” He goes on to note “the somewhat mysterious fact is rather that ‘thought-sound’ implies division, and that language words out its units while taking shape between two shapeless masses.” I rather like that, and I like that he chose undulating waves as his visual image. We could even go so far as it imagine language in the brain, with one wave-set of neural activity entrained to external sound and another being through itself. The sign function then binds wavelets, if you will, of sound with wavelets of sense. I have the word bind from logic and from computer science, and it’s just the notion we need here. The binding of sound to sense, sense to sound (or sight and sense) is the primitive operation of language computing. At least that’s how my current thinking goes. I know that there are those who’d say its all computing, the flux itself is computational in kind. Perhaps that is so. But that’s not what interests me now. Computing in the sense that I am now developing, that’s about binding between signifiers and signifieds. That binding is always dynamic, always takes place only in context. And is always temporary. We have the speaker on the left and the listener on the right. 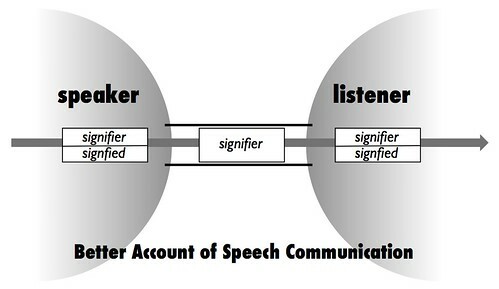 Words flow through the conduit in the middle from the speaker to the listener. Of course, when these individuals switch conversational roles the words would flow through the conduit in the opposite direction. This picture implies that meaning is somehow physically IN those words traveling through the conduit. If that were the case then, in a practical sense, there would be no such thing as speech that you cannot understand. You may not know much about quantum mechanics, for example, but if a physicist tells you something about the subject you will understand it immediately. Why? Because the meaning is physically in the words. Similarly, someone might tell you a story in Mandarin, a language you’ve never heard – no problem! The story makes perfect sense. Why? Because the meaning is right there in the sounds. Where does the listener get that signified? She supplies it herself, automatically and without effort. Unless of course the speech signal is garbled or she doesn’t know the meaning of the word. In such cases she’ll ask for clarification: What’d you say? I don’t understand. And so conversations go, back and forth. And my current thinking is that back and forth is computational in nature. That is, it is computational in the sense that I am trying to establish. Conversational turns tend to be relatively short and smooth, with relatively little overlap between speakers . Methods for ‘repairing’ conversations are routine and well-established . Finally, I note that Vygotsky argued that ‘inner speech’ is basically internalized conversation . That is, turn-taking between two people has now become a completely internal process. Now, how can I leverage this into my discussion of Obama’s Pinckney eulogy, and from there, into a conception of computation and literary form that is intelligible to literary critics? Addendum 9.26.16: A post from 2014, How dynamic is word meaning?, is directly relevant. It's from an interview with a philosopher, Peter Ludlow, who's written a book entitled Living Words: Meaning Underdetermination and the Dynamic Lexicon. Ferdinand de Saussure, Course in General Linguistics, tr. Wade Baskin, ed. Perry Meisel and Haun Saussy, New York: Columbia University Press, 1987, 2011. I am working from the second edition of the volume in which Reddy’s article was published: Reddy, Michael J. (1993). 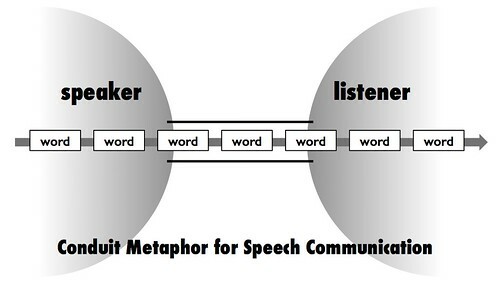 The conduit metaphor – a case of frame conflict in our language about language. Metaphor and Thought (2nd edn. ), ed. Andrew Ortony, 164-201. Cambridge University Press. What’s Computation? What’s Literary Computation? A quick note about "Sausage Party"